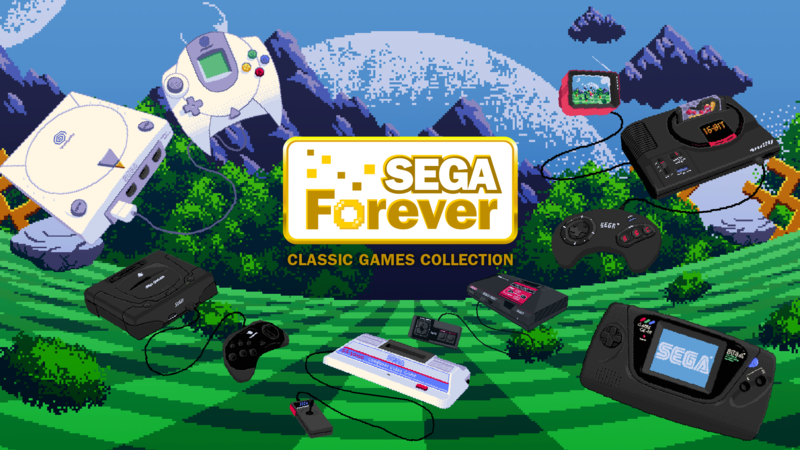 Sega has launched its new mobile service, Sega Forever. The new service focuses on bringing Sega’s classic games to mobile platforms and is completely free. Games launching with the service include Sonic the Hedgehog, Phantasy Star II, Comix Zone, Altered Beast, and Kid Chameleon. Each month Sega will release new titles as part of the service on both iOS and Android. The games have been rebuilt within the Unity engine to make porting them to multiple operating systems easier, and new features include cloud saves, leaderboards, and optional bluetooth controller support. For fans with Apple products, the games also include stickers for iMessage and Apple TV apps for those wanting to play on the big screen. While the games are free, there are of course a few caveats. Players using the free version will have to view an ad before progress can be saved and pause menus will also feature an on-screen ad. Ads can be removed from the games by purchasing them individually after the title has been downloaded. For games that were previously on mobile stores, players will have the ability to restore their purchases in order to remove the ads. The currently released titles have all been Genesis (Mega Drive) games, but Sega has confirmed it plans on releasing titles from all of its consoles, from the Master System to the Dreamcast. Check out the announcement video below.